Hellboy is back in theaters this week, and along with a Little comedy, a Link to family adventure, and some fresh young love. Here’s your Outer Banks Movie Update for the weekend of April 12, 2019! 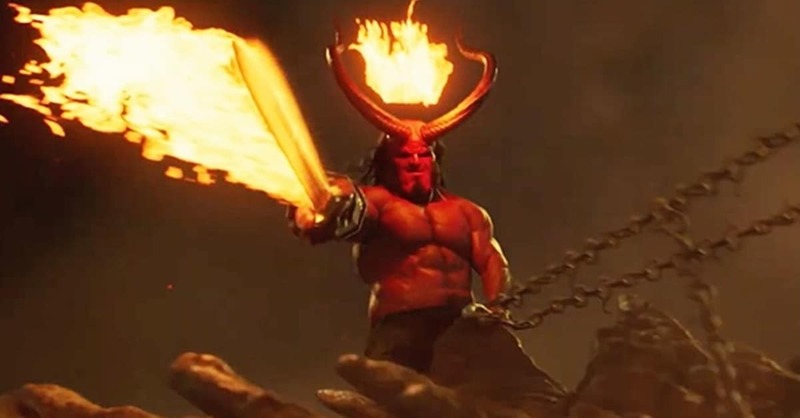 The latest live action version of the popular comic book, Hellboy (rated R) officially opens on Friday, playing locally at R/C Theatres in Kill Devil Hills, with an early preview screening tonight (Thursday) at 7:00 p.m.
You can watch the official red band (age restricted) trailer below. Also new this week, a gender swapped reversal of the Tom Hanks classic Big, the new comedy Little (rated PG13) opens Friday at R/C Theatres in Kill Devil Hills, with an early preview screening tonight (Thursday) at 7:00 p.m. The new animated family adventure Missing Link (rated PG) also opens on Friday in Kill Devil Hills, with early preview screenings tonight (Thursday) at 4:30 and 7:10 p.m. The final new release playing locally this week is the teen romantic drama After (rated PG13), opening Friday at R/C Theatres, with an early preview screening tonight (Thursday) at 7:00 p.m.
You can see an official trailer for the film below.